As part of our series of interviews with photography influencers about their work and also about how they make use of self-portraits and selfies, we spoke with Pei Ketron. 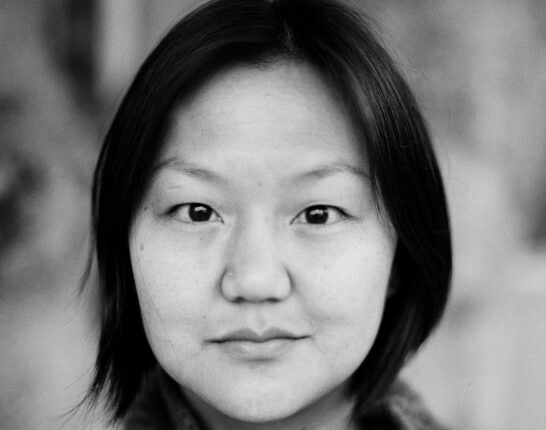 Pei is an educator and a photographer whose travel photos and commercial work are used worldwide. She has taught at Santa Fe Photo Workshops, among other places, and has spoken at many conferences, including Adobe MAX and SXSW. Online, she has nearly 800,000 followers of her Instagram feed, and a website featuring her work. David: Pei, thanks for agreeing to speak with us. Your success in travel and commercial photography is inspiring. To get started, can you tell our readers a little about how you got started in photography? Pei: Sure. My background is actually in education. I was an elementary school special education teacher for 10 years. Photography was initially just a hobby, beginning when I was a junior in college studying abroad in Prague. During that time, I had a point-and-shoot film camera that I loaded up with Ilford black & white film, and I would go out and take photos of the city. I would wake up really early in the morning to take pictures. I was chasing light and doing all these things that photographers do without realizing it. After this trip to Prague, some family friends saw my photos and said, “You know, you’re actually pretty good at photography. You have a good eye and you should learn how to do this properly.” They loaned me their film SLR and I took a black & white darkroom class my last semester in college so that I could actually learn how to use It. That’s when I learned what shutter speed and aperture were. After that, I went to grad school and it was too expensive to shoot film, but it was thankfully around the time when digital cameras started to be more affordable and accessible. As a professional photographer, Pei is naturally the one to take selfies of her friends when they get together. Like many, she finds getting the exposure right tricky under difficult lighting, and often focuses and sets the exposure of her face instead of relying on the phone camera’s automatic setting. I got a digital point-and-shoot. That allowed me to practice a lot and experiment with different settings, while not worrying about wasting film. I learned a lot by looking at the EXIF data of images that I liked. David: Is that when you first started with digital photography? Pei: Yes, I got a digital point-and-shoot—a Canon PowerShot G3—in 2003, when I was in grad school. That allowed me to practice a lot and experiment with different settings, while not worrying about wasting film. I like to call myself a student of the Internet because I learned a lot online and from people I met online. I learned a lot by looking at the EXIF data of images that I liked. During that time, I was also working as a full-time teacher. What ended up happening was that I would take photos of my students, many of whom had special needs, for classroom purposes. When I got a good photo, I would also send it to the parents. Many of the parents didn’t have good photos of their kids because it can be really hard to develop the type of relationship and understanding you need to photograph a person with special needs well. David: So that turned into something more for you? Pei: Definitely. Often the parents got excited and asked if [they] could hire me to do a portrait session with [their] child. Those portrait sessions eventually evolved into photographing weddings. At that point, I still didn’t have a broad understanding of photography as a career at all. To me, this was the only way I knew how to make money as a photographer, and of course, my dream was to pursue my passion as a photographer. The success of my wedding and portrait photography business enabled me to pay for my photo gear. Because I was earning money, I could justify camera and lens purchases, as well as fund summer travel. Because of that, I made it a goal to travel abroad once a year. David: How did your wedding photo business work out? Pei: While my wedding photography clients were always happy with the work that I did, it wasn’t what I was passionate about. What I really loved was travel photography. The images that I would bring back from my travels would make people stop in their tracks and just say, “Wow.” You convey in your photographs the passion and the love for what it is that you’re capturing, and I guess I just didn’t have it for wedding photography. At that point, I focused on building a travel photography portfolio in the hopes that that would lead to business in the future. When Instagram launched, I was in a good place. I had already been a photographer for 10 years. Instagram did a blog post on me early on because I was one of the first people using the platform in an artistic way. David: How did you make the transition to non-wedding photography? Pei: When Instagram launched, I was in a good place. I had already been a photographer for 10 years. That meant that I already knew photography and just had to learn to use this new tool for capture and this new platform for sharing. With early Instagram, you had to capture the images within the app itself. And even then, when they opened it up to allow you to import from your camera roll, I was still adamantly iPhone-only for the first six years. Instagram did a blog post on me early on because I was one of the first people using the platform in an artistic way. I think that’s what distinguished me from the start. I was actually trying to push the platform on an artistic level. They put me on their suggested user list and that was what helped me build such a large audience. Instagram was such a rapidly growing platform that I was gaining followers very, very, quickly. I was the right person in the right place at the right time. Unfortunately, there’s no way that what happened to me could be replicated today. Through Instagram, I was connected to a more diverse group of clients who would hire me to do things like travel and take photos. Most early clients via Instagram were tourism boards, and the invitations I was getting were to do things like travel to faraway countries like Jordan, take photos, and share them on Instagram. Talk about a dream job! David: Super! Do you think it was the work product, or the value of the audience, or obviously both, since they go hand in hand? Pei: I know for sure part of the reason they hired me was to reach my audience, but I’d like to think that it was also the quality of the work I could do for them. Some of the early jobs weren’t even technically what I consider to be jobs. They were opportunities for exposure because they weren’t paying influencers on Instagram at the time. I was a part of that first influx of Instagram influencers who had to help educate the agencies and clients on the market and the client/photographer relationship. Many of them had to learn that our work was actually valuable and that we should be getting paid for it. Sure, you’re going to fly me to New Zealand or Australia and pay my expenses. But that’s also taking a week or more of my time when I could otherwise be earning money. I’m also creating a ton of content for you and helping you build your brand. That’s work that should be paid for. Over time, these companies and brands started to pay Influencers. Of the non-portrait work that I’m capturing and sharing on Instagram, I would say probably about 75 percent is done with my iPhone. If I was not a film shooter, my work would be around 99 percent iPhone because I don’t want to carry a DSLR around anymore. David: What percentage of your work is work do you do with your iPhone now versus with a larger standalone camera? 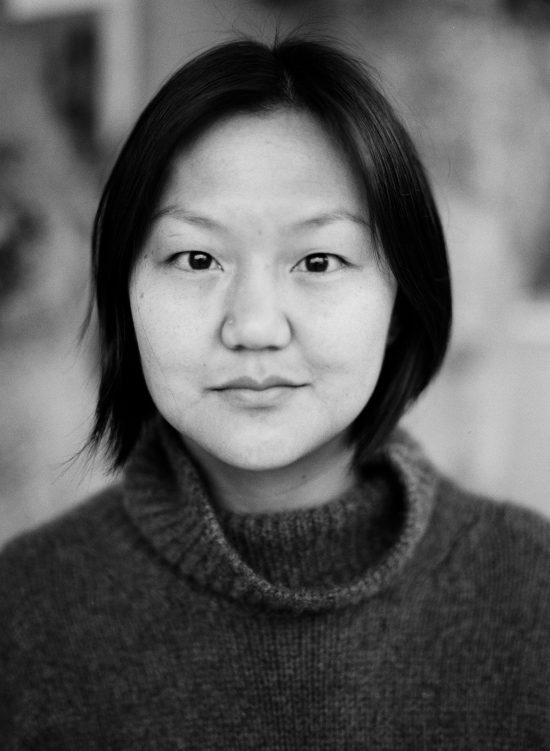 Pei: This year, I’ve been doing a lot of sharing of my medium-format portraits, so that skews the proportion a bit. Of the non-portrait work that I’m capturing and sharing on Instagram, I would say probably about 75 percent is done with my iPhone. David: Given the rate of improvement with the iPhone camera, do you imagine a time in a year or two years or five years that its depth-of-field simulation is going to be good enough that you might say you can use the iPhone for everything? Pei: I feel like the depth-of-field simulation now is actually very good. And I know that it’s just going to get better. So it’s not really a knock on the technology that I’m still using a medium-format camera. It’s really that with digital cameras, including DSLRs, you just can’t achieve the look of film. And I’m somebody who just loves shooting film. So, I don’t think that I would ever abandon it entirely. David: How about the role of the iPhone for your non-film shooting? Pei: If I was not a film shooter, my work would be around 99 percent iPhone because I don’t want to carry a DSLR around anymore. I can do virtually everything I want to do with my iPhone, and I’ve learned to shoot in a way that I can accomplish basically everything I want to do with it. There are a lot of fashion and lifestyle Instagrammers who create their entire account based on themselves being their brand. David: How much of a role do you think selfies have played in what you do or your success or for your audience? Pei: I would say for me they played a fairly small role because I don’t show up on my own feed very often. There are a lot of fashion and lifestyle Instagrammers who create their entire account based on themselves being their brand. I understand how that is valuable and I can appreciate what they’re doing, but it’s not for me because I prefer not to be in front of the camera. I did, however, learn a lot about photography early on by taking self-portraits. I was constantly setting up my camera on a timer and playing with the settings and figuring stuff out. But most of that was before Instagram. There are very few timer self-portraits I’ve taken that are on Instagram. There might be five in my library of over 4,000 photos on Instagram. One of the series that I’ve been very diligent about over the years has been the self-portrait series that I do with my niece. It was an inadvertent series that really became a thing later on. When my niece was in utero, I took a selfie in the mirror with my sister. My niece was born three months after Instagram launched, so the timing was perfect. I’ve been adding to the series now for 7 years and it’s all nicely collected in a hashtag, #peiplusruby. It’s very popular, especially with people who have been following me for years and years. One of Pei’s personal favorite collections of selfies are those she has shot of herself and her niece in the mirror over the years. You can see a few here from the Instagram hashtag #peiplusruby. David: You’re obviously doing those with the main camera. Is that just because it’s a better camera? Pei: Yes, but I do it because I’m pointing the camera at the mirror and not at myself, so it logistically just makes sense. The quality of the front-facing cameras just isn’t as good, but it is getting better and better. I take plenty of group selfies. 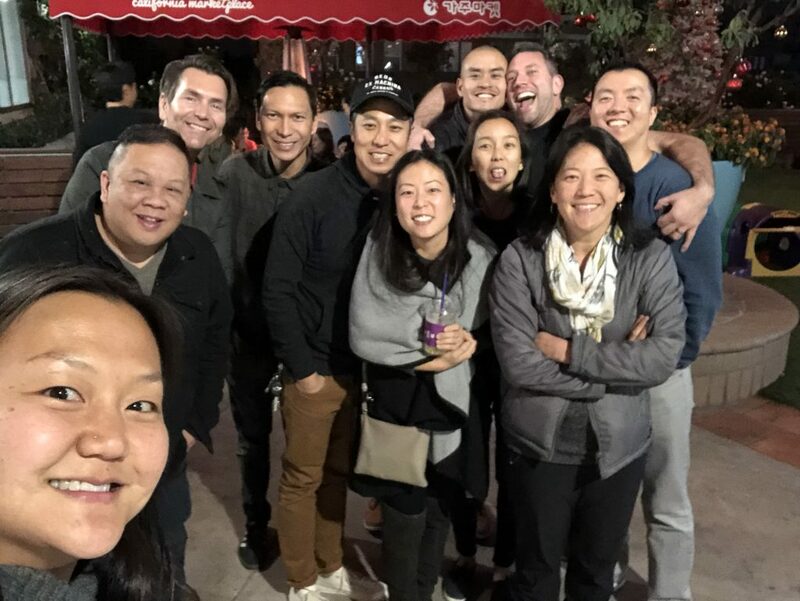 Every time I hang out with a group of friends, it’s usually me taking a selfie of the group of us. I do take selfies with the front-facing camera, but those usually go on Facebook instead of Instagram. Nowadays, they might also go on Instagram stories. The quality of the front-facing cameras just isn’t as good, but it is getting better and better. David: Have you ever had an issue with the front camera when you’re taking group shots of people with different skin tones? Pei: I take plenty of group selfies. Every time I hang out with a group of friends, it’s usually me taking a selfie of the group of us. I’ll answer your question in a second, but I just wanted to mention that for me, the selfie thing started because when I was a teacher. I had a co-worker who started teaching the same year I did. We worked together for ten years and she ended up passing away shortly after I stopped teaching. When that happened, I went back to find a photo of us together and realized that I didn’t have one. I had known her for over ten years and I didn’t have a single photo of us together. It made me really sad when I realized that, so it then became really important for me to start taking selfies when I’m with friends. We have dinner at 7 pm and walk out of the restaurant at 10 pm. It’s dark and all we have are street lights. We still take a selfie, even though the photos are noisy and maybe even slightly blurry. To answer your question, the front camera struggles the same way the rear camera does. What usually happens (and it happens on both the front- and the rear-facing cameras) is that it tends to expose for the shadows and then your highlights get blown. So I still tap to focus when I’m shooting a selfie the way I would with the regular camera. To fix the overexposure, I usually tap on the face of somebody who is lighter to prevent them from being overexposed. David: That’s interesting, because these are exactly the kind of problems people are running into and having to go to work on. The camera companies are trying to figure out how to magically get the dark and light skin tones correct at the same time. It’s not a trivial problem. Pei: Yes, especially with very large group photos. For those, I have to stand physically further away from people to make everyone fit in. So usually I tap on my own face because it’s the one in the front. David: That makes sense. Speaking of faces, have you actively used any of the beautification capabilities or apps for that matter in the camera for selfies? Pei: There’s nothing built into the iPhone camera that I know of, so no, I haven’t used any of them, but I’ve seen them with other smartphones. I’ve seen how they work and sometimes they can be helpful in smoothing out rough skin. David: Any thoughts about how you think this is going to evolve going forward in terms of the technology in the front/rear camera? Or is there anything else that is going to change the way you do photography or the way the industry works? Pei: I think what will happen as the front-facing cameras evolve is that I’ll be much happier with the selfies that I take. A lot of them are taken under poor lighting conditions. On a normal day as a photographer, I can be more thoughtful about the light and make sure that I’m shooting in adequate lighting conditions. But with selfies, say we have dinner at 7 pm and walk out of the restaurant at 10 pm. It’s dark and all we have are street lights. We still take a selfie, even though the photos are noisy and maybe even slightly blurry. As cameras have evolved, those images have gotten better and better. I look forward to seeing them continue to improve more. I don’t think my own shooting style is going to differ too much. It’s not going to make me suddenly start taking selfies just to put on my feed, because that’s not really what I share in my portfolio, and it isn’t a priority for me as a photographer. I don’t see myself changing my photography style as a result of the front-facing camera getting better. I do, however, very much appreciate the fact that the rear-facing cameras are improving. David: Thanks, Pei, for such an informative interview and all the good information for the readers of DxOMark.